Two new events have begun! 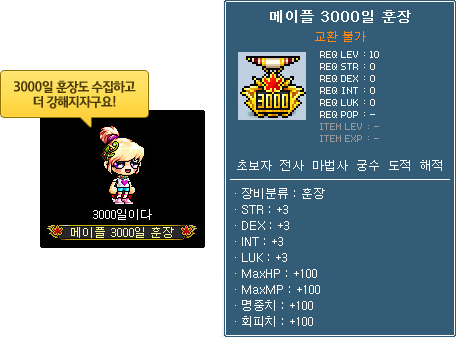 One is to celebrate the 3000th day of MapleStory! What an occasion! The second is a bit… unique? Read on to see what I mean! MapleStory is celebrating its 3000th day! Participate in the fun by collecting 3000 Days Anniversary Stamps from monsters! 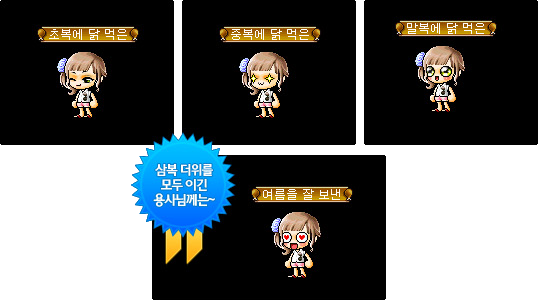 Collect 3000 of them to receive the 3000 Days Anniversary Medal! Monsters around the Maple world will be dropping 3000 Days Anniversary Boxes. Collect and open them for prizes! On the 16th and the 17th, at 2:30 PM, you can use the Mirror of Dimensions to go to the 3000 Days Hall of Memories to celebrate this momentous occasion! You get a buff and 10 Legend Coins! This event is sort of weird. It is only available for 3 days every week or so. It runs from July 13 ~ 15, July 23 ~ 25, and August 12 ~ 14. During those time periods, you must hunt for and collect 10 Chicken Drumsticks from monsters. Hand them in and you’ll get a buff! It comes with a cool effect. 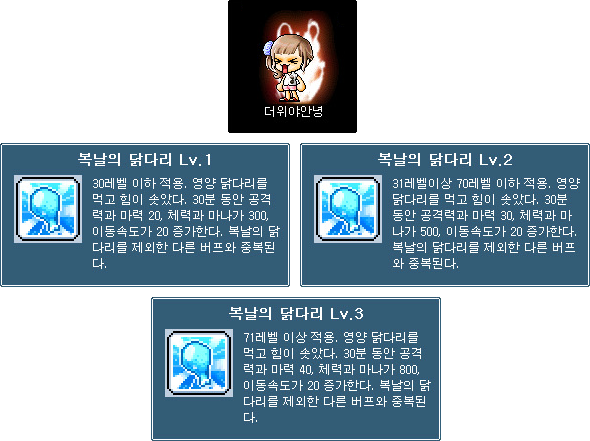 For level 30-, you get 20 attack and magic attack, 300 HP/MP, and 20 speed for 30 minutes. 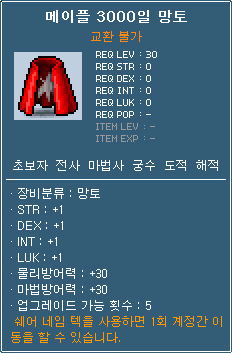 For level 31 ~ 70, you get 30 attack and magic attack, 500 HP/MP, and 20 speed for 30 minutes. For level 71+, you get 40 attack and magic attack, 800 HP/MP, and 20 speed for 30 minutes. That’s not all! You also get a coupon for 1.5x exp for 1 hour! Also, aim to be the best! Complete this event for all the periods and you’ll get a series of titles~! The final one is called A Summer Well Spent! Is the Share Name Tag just a rip-off of Karma Scissors? It’s similar. It only works on some items and it makes them account tradeable. How do you sign up for Kms?